Announcing Cancer Support Community Central Indiana and their Men’s Health Services programming as the new beneficiary for the IMCU Cancer Awareness Debit Card! IMCU offers a cancer awareness debit card to support local initiatives that improve the lives of those affected by cancer. 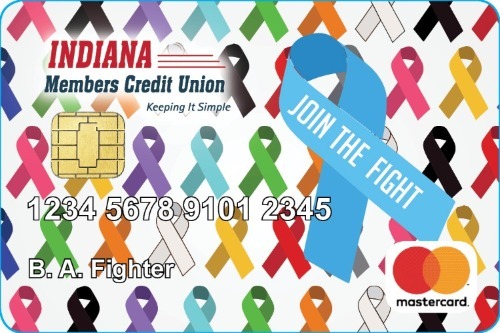 A portion of each signature based transaction made with this card March 1, 2019 through February 29, 2020, up to $10,000, will be donated to Cancer Support Community Central Indiana and specifically their Men’s Health Services programming. Get your IMCU Cancer Awareness Debit Card at any IMCU location!